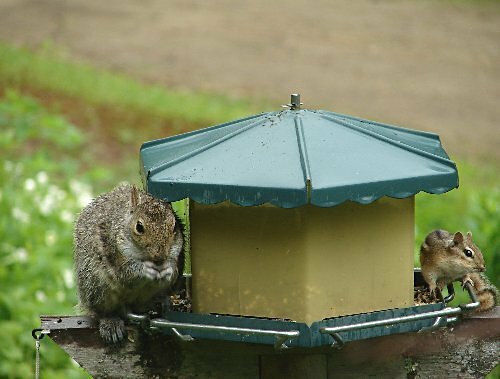 Squirrel and Chippy having lunch together. And the 2 shall meet. What a great shot.